When dining out becomes monotonous, look for a restaurant that offers an extraordinary experience. Serving fine cuisine underwater or in the sky—all of these restaurants share the same basic goal: to turn an ordinary meal into an unforgettable event. 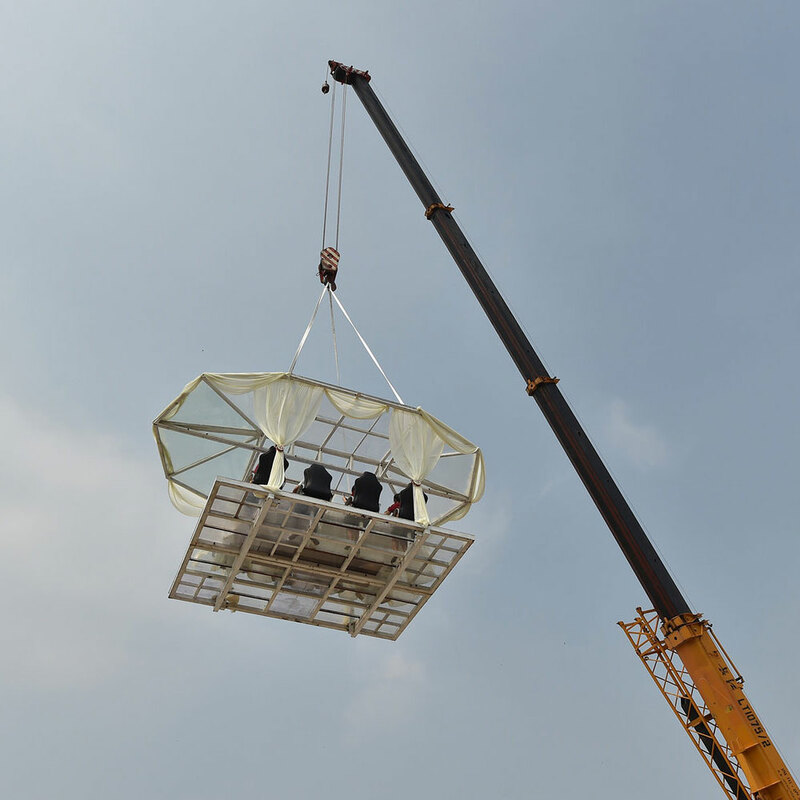 The Weird Factor: Elevating foodies to new heights over cities all over the globe like Paris, Brussels, and Dubai, Dinner in the Sky offers 22 seat-belted guests a chance to dine at a seven-ton table attached to a crane, hovering 165 feet in the air. The only requirements: each guest must reach a minimum height of five feet, a space needs to be secured (options range from race tracks to vineyards), and someone must possess extremely deep pockets (average cost for the whole shebang runs approximately $30,000 for eight hours). It takes approximately two hours to set up, one hour to break down, and you might want to hit the restroom before you rise—it only takes a minute to lower, but when one person goes, the whole table descends along with you. Dish to Try: All meals are privately catered. 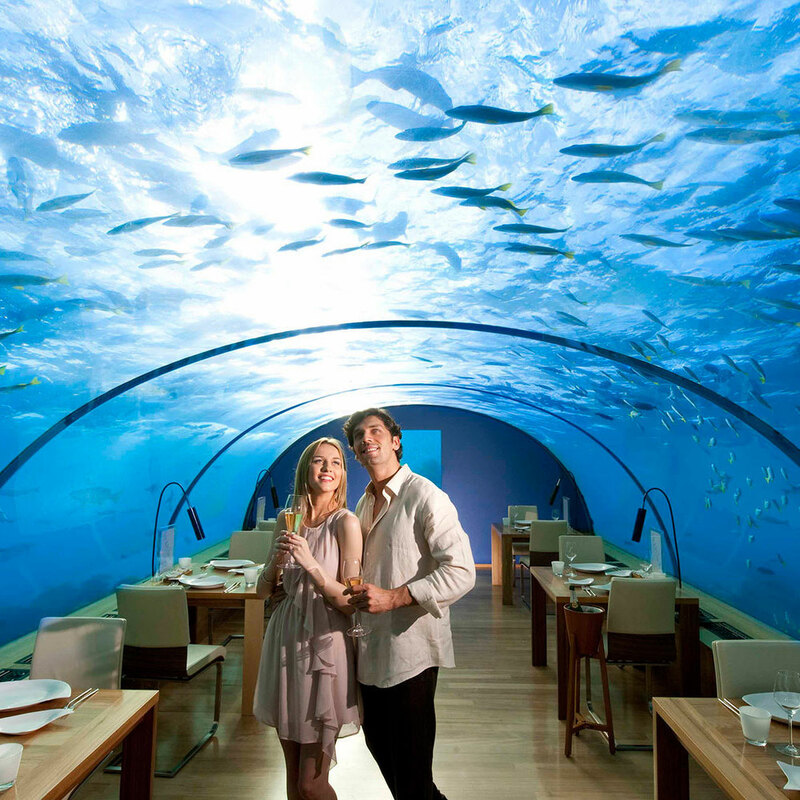 The Weird Factor: Jacques Cousteau meets Blue Water Grill at the Conrad Maldives Rangali Island’s Ithaa, the world’s first aquarium-style underwater restaurant, set 16 feet below the surface of the Indian Ocean between a lagoon and coral reef. Those lucky enough to score one of the dozen seats can dine with the fishes, surrounded by clear acrylic and 180-degree, below-water views. Reached by a wooden walkway from the nearby over-water Sunset Grill, the five-million-dollar restaurant serves a four-course contemporary fusion Maldivian menu—and the live sea creatures that come to check you out rival anything on your plate. Dish to Try: Maldivian lobster carpaccio, reef fish tartare, and poached quail egg with passion fruit dressing. The Weird Factor: Singapore now has its own molecular gastronomy restaurant to join the ranks of Heston Blumenthal’s Fat Duck and Chef Ferran Adrià’s El Bulli, where food takes the form of weird science experiments: foams, liquid nitrogen, even an ultrasonic mixing technique used to create unique emulsions. Only The Clinic has gone a considerably bizarre step further. Simulating a hospital, chefs “operate” on gourmet oddities in an open demo kitchen under the glow of operating room lights. The entire 13-course menu is served on stainless steel surgical tables to diners seated in gleaming gold-plated wheelchairs. Dish to Try: Dashi soup with olive oil soba noodles (the self-forming noodles are made by squirting an olive oil concoction from a syringe into a bowl of hot liquid). 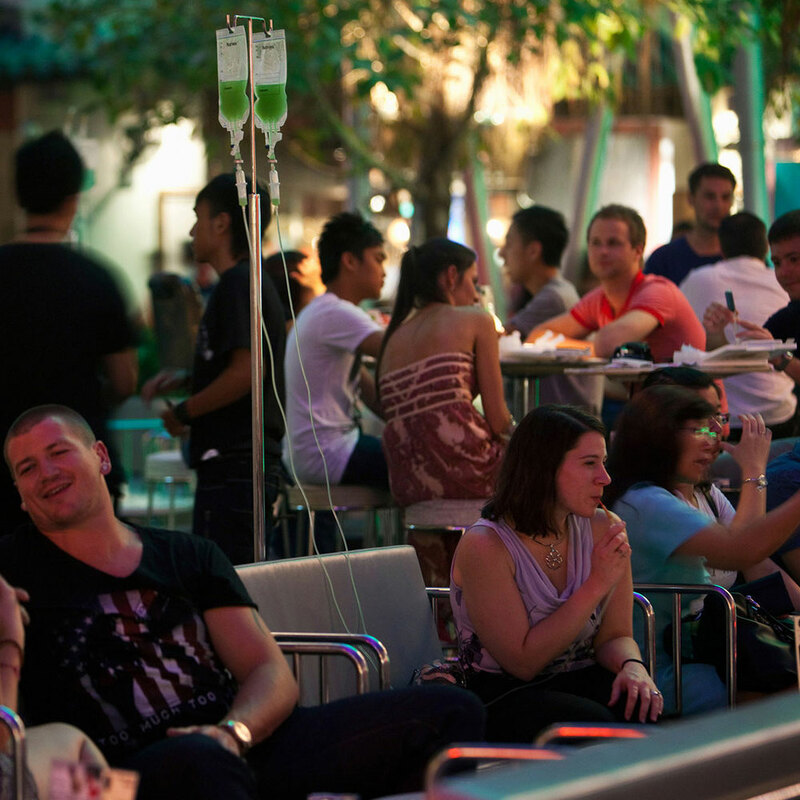 The Weird Factor: The ultimate sensory dining experience, Dans Le Noir? 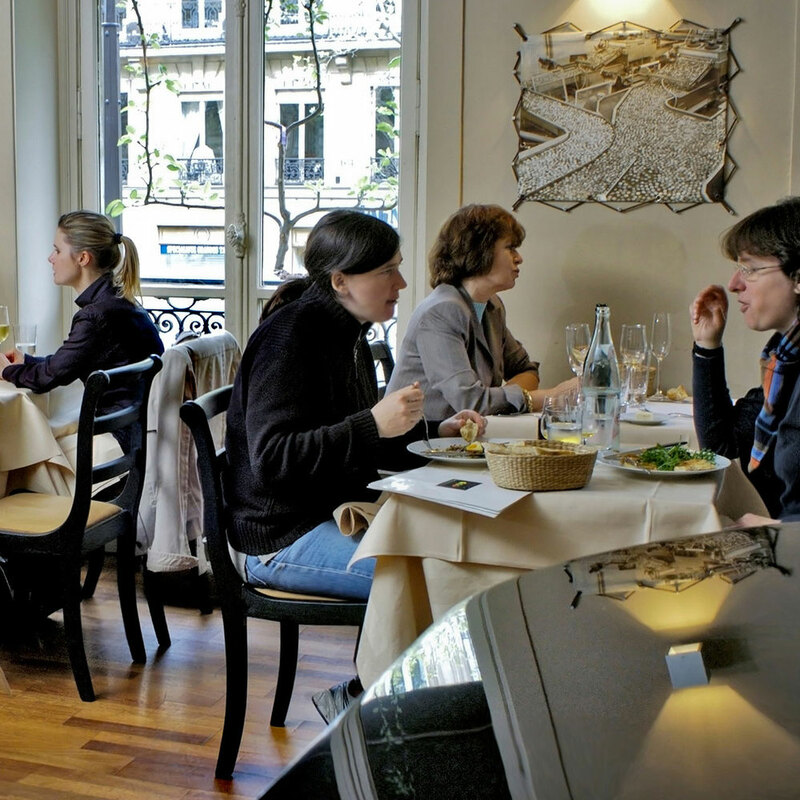 is a series of worldwide restaurants (Paris, Barceolna, London, St. Petersburg, and Nairobi) that offers the chance to dine blind. Capitalizing on the raging trend of dark restaurants, the idea is to heighten awareness about blindness, as well as one’s sense of taste. You can check out your dining companions over cocktails in the lit bar and lounge before entering the “dark room,” which seats 60 people. Surprise menus come in four colors and themes: white for normal, red for no seafood, blue for no meat, and green for vegetarian. Then it’s lights out as you move over to the dark side for a surprise feast. 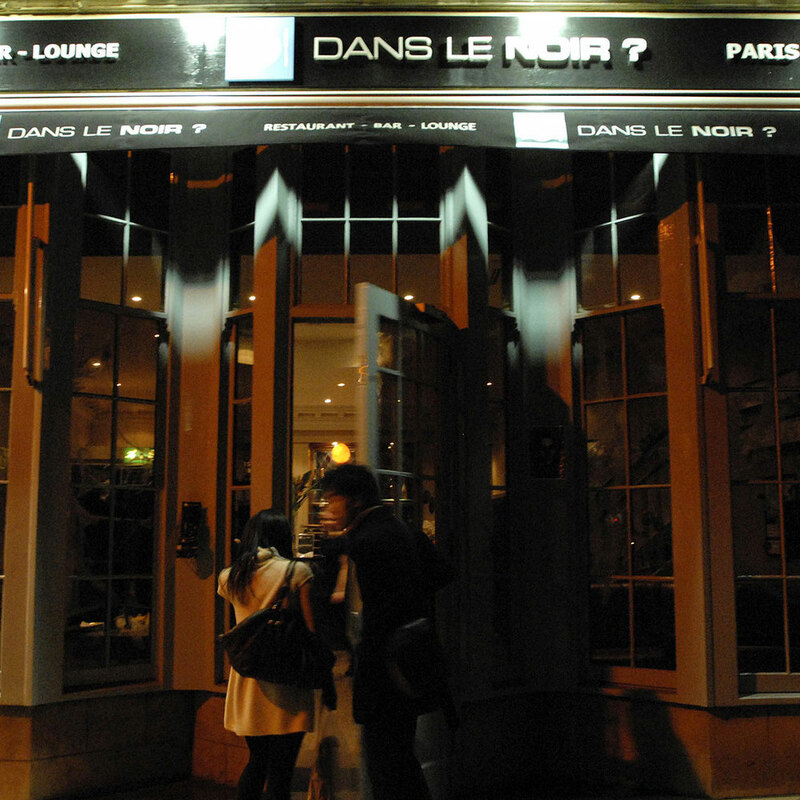 Additional dark dining venues span the globe, including New York’s Cama Je Bistro, O’Noir in Montreal, Canada (which features blind waiters), Blindekuh (blind Cow) in Zürich, Unsicht-Bar in Berlin, Cologne, Hamburg, and two additional Dans le Noir?locations in Paris and Moscow. Dish to Try: If we told you, it wouldn’t be a surprise. The Weird Factor: Most Westerners will flinch at the unlikely association made at this bizarre Taiwanese eatery, but in Asia, toilet dining is bordering on an obsessively popular way to eat. 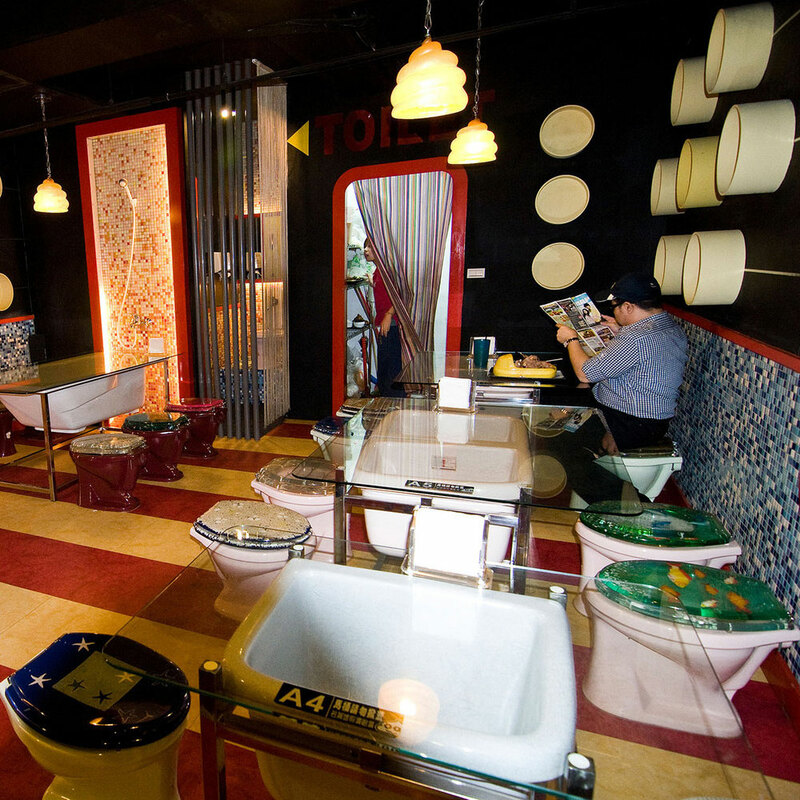 Owned by 27-year-old Eric Wang, commode cuisine comes to life as customers sit on (closed, thankfully) toilets while feasting on a steaming pink toilet bowl of noodles or a bidet of soft-serve chocolate ice cream. The first location was such a success that Wang opened a second branch seven months later—and now it’s a chain. The bathroom décor includes converted glass-covered bathtubs as tables, wall-mounted neon faucets, and urinal lamps. Even more unexpected may be the price: about $10 for a full meal, including soup and dessert. If you plan on staying in town a while, sign up for the frequent-flusher program to secure your own toilet-shaped bowl. Dish to Try: Curry hot pot. The Weird Factor: This may be one of the world’s most difficult reservations to secure. After all, not even New York’s Masa requires a thorough background check and the "OK" from Italy’s Department of Justice. That’s because, in addition to serving fluffy gnocchi and robust Chiantis, most chefs, waiters, and sommeliers are also serving 25 to life. 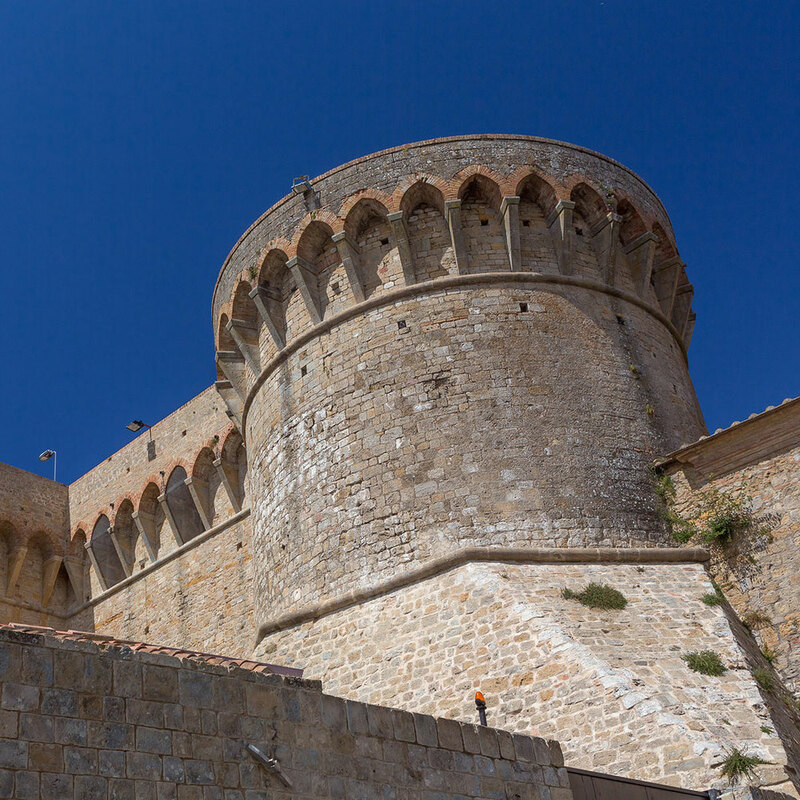 Launched in 2006 in a 500-year-old prison outside Pisa, Fortezza Medicea is a kind of social experiment: can a restaurant staffed by some of Italy’s most hardened criminals provide viable job training? Guests find out by shuffling into a massive room filled with plain benches, where guards (not maitre d’s) survey the crowd. Metal detectors, turning in cell phones, and plastic cutlery are all good ideas. Sending your food back? Not so much. Dish to Try: Gnocchi with fava bean purée. The Weird Factor: Created by Daniel and Emmanuel Dayan, Pomze is a gourmet Parisian restaurant devoted to a singular fruit: apples. The restaurant is so obsessed, in fact, that it uses more than 120 varieties and adds the flavor to all its menu items. You can feast on the likes of gazpacho with granny smith–juice ice cubes in the converted Haussmann-style apartment or, for something more casual, head downstairs to the stone cider cellar, full of old cider bottles. Some elixir highlights: sweet draught cider from Northern Brittany and Nayade, a blend of pure granny smith apple juice and Polish vodka. And don’t miss the gourmet shop, with enough apple-based products—from calvados to chutney—to keep the doctor comfortably at bay for a decade. Dish to Try: Caramelized pork ribs with three-apple salad. 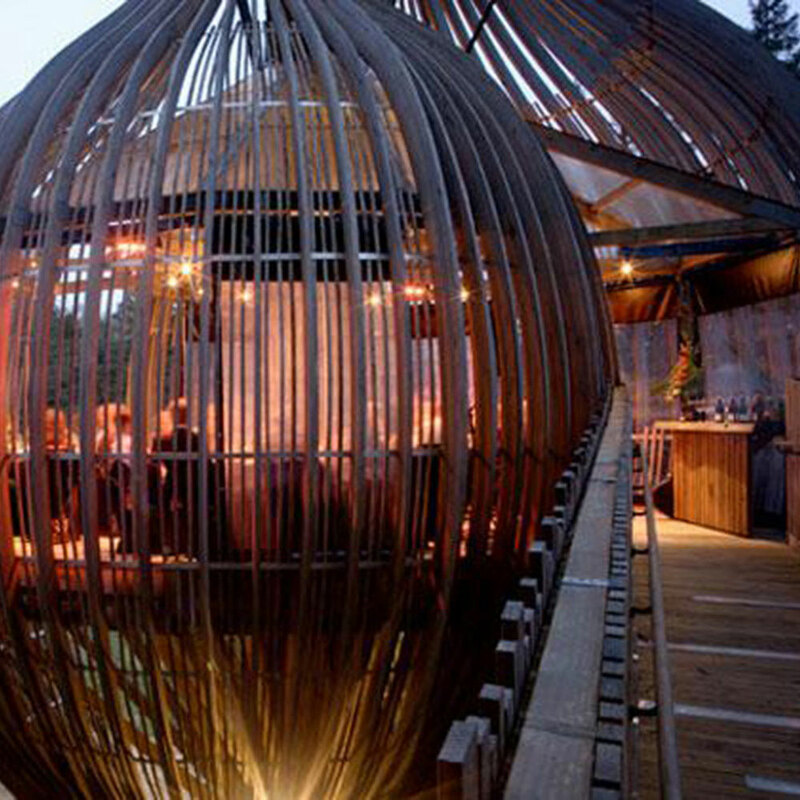 The Weird Factor: Ever dreamt of dining in a treehouse? Built inside a real redwood tree in Warkworth, New Zealand, Redwoods Treehouse offers guests a very unique dinner experience. Diners enter the treehouse by way of an elevated treetop walkway that leads to a cocoon-shaped pod structure that is situated about 32 feet up the redwood tree. The restaurant can accomadate up to 30 seated guests, and is now only available for private hire—guests hosting events in the treehouse can choose from three different catering companies. The Weird Factor: This restaurant takes sea-to-table to an entirely new level—since the sea will be literally all around your table. 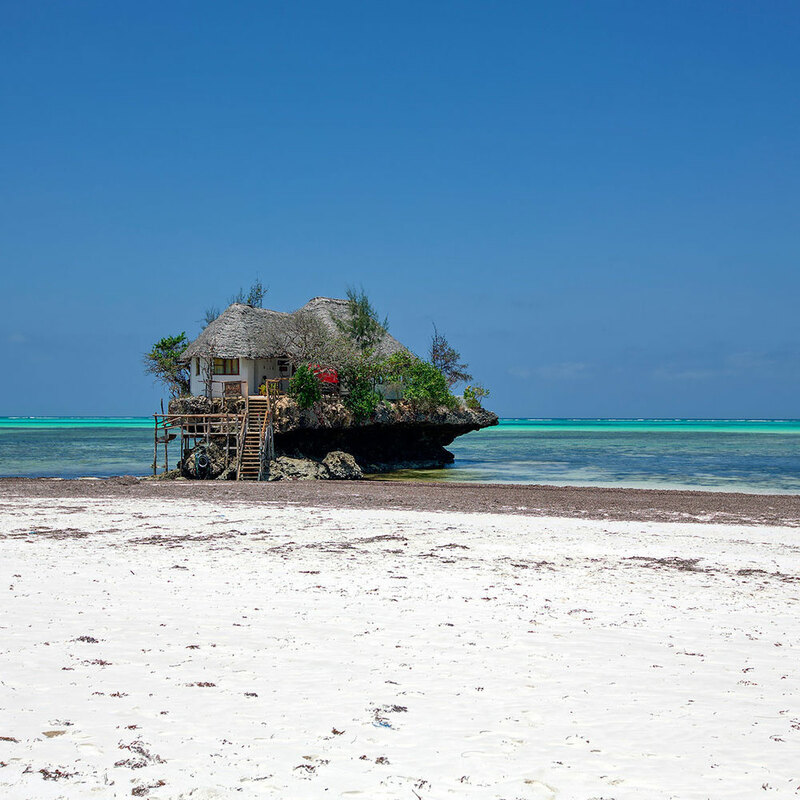 Rising just off the shore from Michanwi Pingwe in Zanzibar sits a giant rock—and on that rock sits a restaurant serving up some of the freshest seafood from the surrounding waters. With views overlooking the vast, sparkling blue water of the Indian Ocean, diners can have a drink on the romantic terrace overlooking the ocean, then sit inside the small restaurant that accomodates only 12 tables at a time. Rock Restaurant can be reached by foot only if the tide is low—during high tide, diners must take a boat out to the rock. 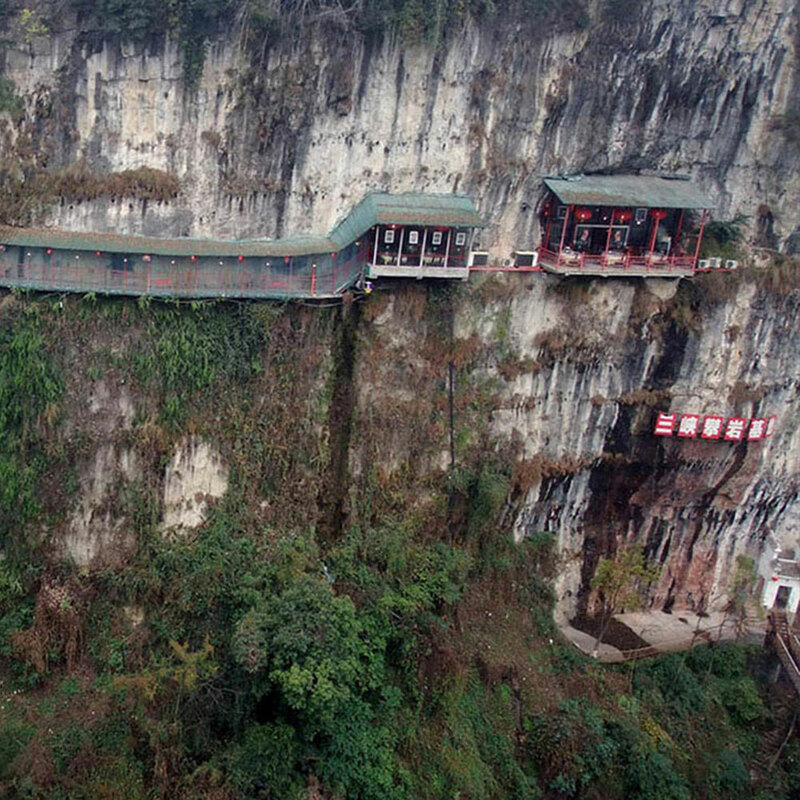 The Weird Factor: For those who are fans of living life on the edge, Fangweng Restaurant in China will be an experience to remember. Located near Sanyou Cave, this restaurant is situated in the Happy Valley of the Xiling Gorge, where the Chang Jiang River enters the Yangtze. Guests enter the venue at a seemingly nondescript grey buildilng, but once inside, the restaurant curves along the cliffside, high over the water, into a cave. The floor of the covered bridge-like walkway hangs several hundred feet above the gorge below, providing excellent vistas of the river and gorge below. For those who are particularly fond of heights, there is even a bungee jumping platform at one end of the restaurant. Dish to Try: The menu features a combination of local dishes. The Weird Factor: Ants for dinner, anyone? If you're headed to Black Ant in the East Village, it's time to face your fear of creepy-crawlies. 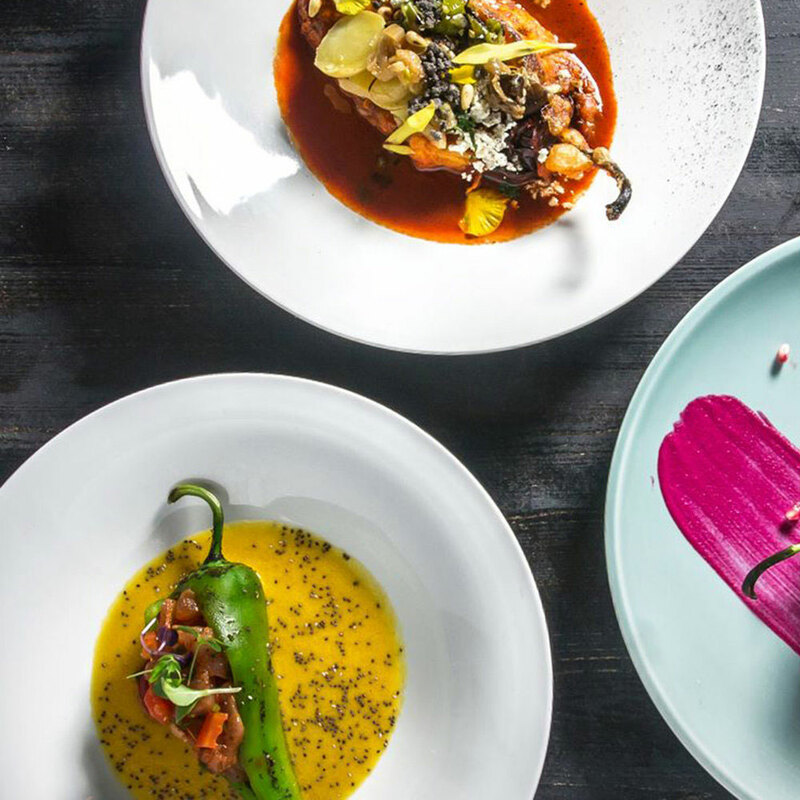 At Black Ant, a New York restaurant serving up traditional Mexican cuisine, the menu is not quite what it may seem at first glance—yes, ants are on the menu. Also, grasshoppers. Those who are not as excited to find the insects in their drinks, appetizers, and entrees can stick to traditional Mexican cuisine, sans-ants. But we've heard that the black ant guac is well worth a try. Dish to Try: Grasshoppers crusted Shrimp, chipotle aioli, cabbage slaw, avocado sour cream.